The aim of the module Packaging Technology and Development is to give theoretical and practical knowledge about packaging development. 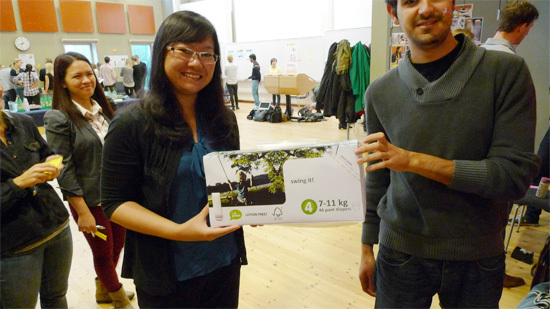 It also deals with the role of the packaging in society as a whole. The main task is to carry out a packaging development project with a related industry, mainly within the food business but also from other areas. 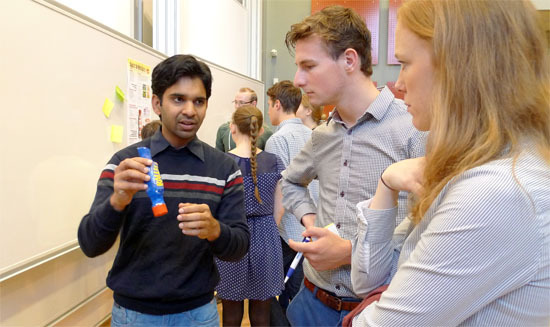 This is done in groups of students from different study programmes having various professional backgrounds. 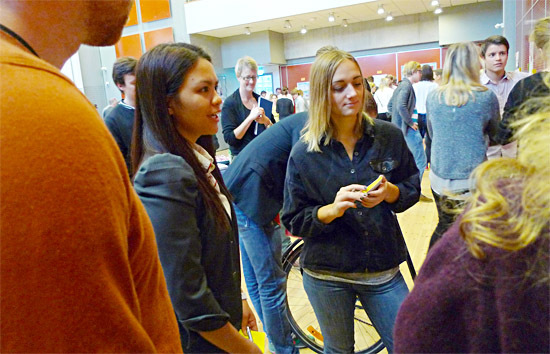 It is a popular module with more than 80 students during fall 2013. Below the results of the FIPDes students’ project work! Yessica Dwi Ariesta’s group had an assignment from the hygiene and forest products company SCA to make a new easy-to-carry packaging for diapers. Mustafa Bombaywala showing a tube food prototype for caviar. 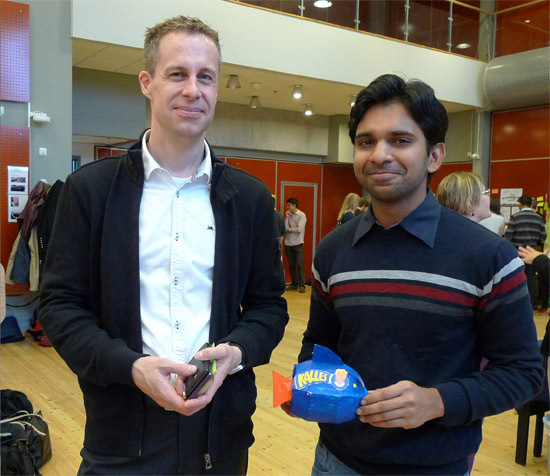 Christian Håkansson, Packaging Manager at Procordia (to the left) and Mustafa Bombaywala. 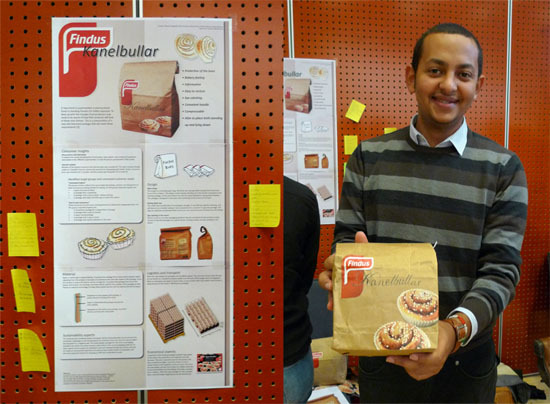 Mena Hanna with his packaging prototype for the Findus cinnamon buns. To the left the poster that explains the group’s thoughts about the suggested packaging. 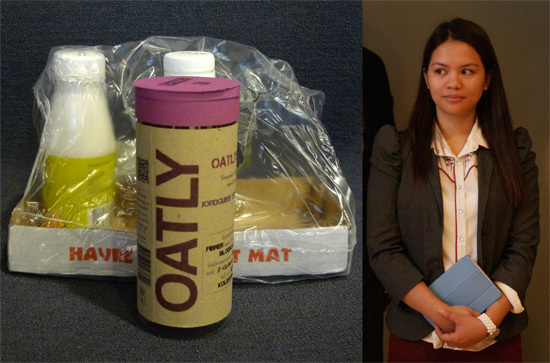 New concept for the Oatly oat drink by Zyra Mae Oliman and her group. Zyra Mae Oliman discusses another group’s prototype and poster.